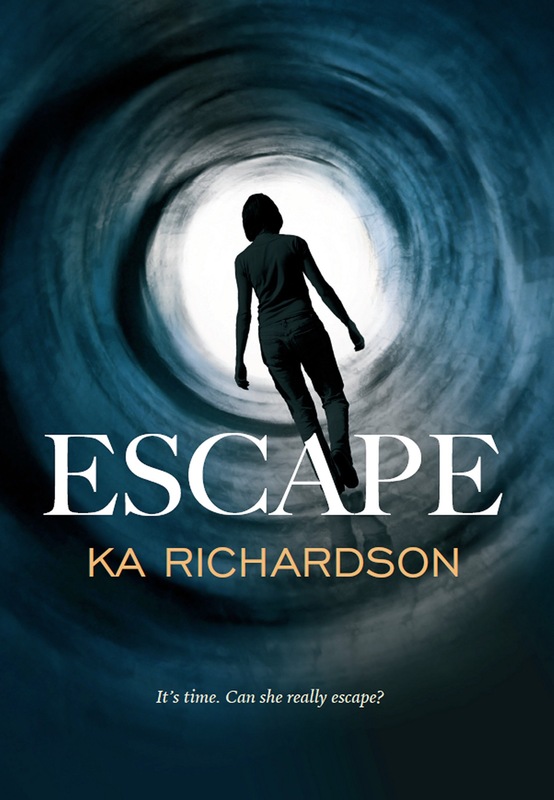 Can’t believe the releases of my short story, Escape, and my novel With Deadly Intent are finally looming! Makes me very proud to know my work is going to be out there – though I must admit to suffering from the normal writer jitters! It’s been a hard slog getting here – I’m not going to lie. There were points along the way when I wondered why I was writing, whether it would be worth it, heck even whether I’d even get published. I’ve laughed with my characters, cried with them and cut some completely. I feel like I know them like real people – they’ve been a part of my life now for nearly 5 years. 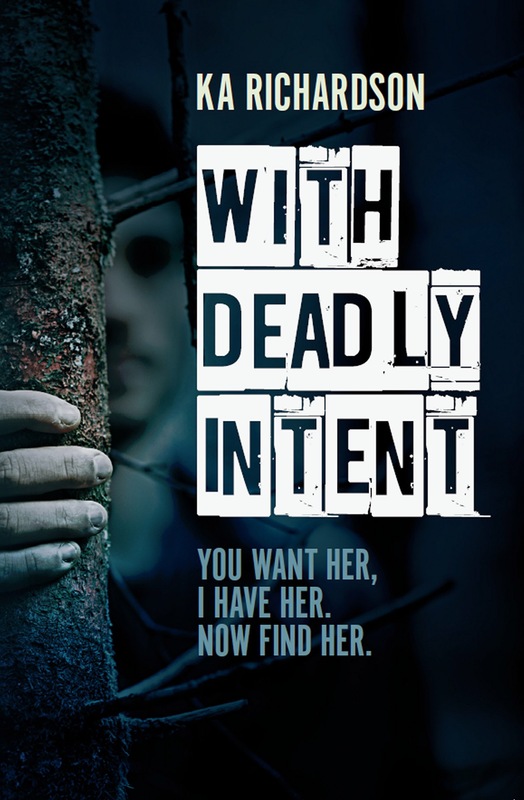 Still can’t believe With Deadly Intent was started 5 years ago! Seems like eons have passed. And to think I’m almost finished book 4 is just bizarre. I’ve got lots planned over the next couple of months – the launch obviously! I’m planning a few giveaways and what not and am so excited. And proud. Proud that I actually wrote a novel and managed to land a publishing contract with the fantastic Caffeine Nights. After the launch there will be signings though these are to be confirmed. I’ve also got Newcastle noir to go to at end of March – am not on a panel but will be there supporting the lovely authors that are! Then in May I’m heading down to crimefest in Bristol – and I’m on a panel at this one on the Sunday! David Mark is chairing, and I’ll be appearing with Luca Veste, Paul Finch and Sarah Hilary – nerve wracking much! Those fantastic authors then little old me. They’re all experts in the field – I’m very nervous already but know it’ll be an awesome panel. Then in July I’ll be at Harrogate Crime Festival – no panel but 3 whole days of socialising and chatting and hopefully selling and signing a few books! My goals have changed through my life – years ago I was determined to learn to ride horses and I did – I did lessons until I was comfortable doing everything from hacking to jumping and dressage. Later I wanted to be a decent DJ and did this for several years. I kept getting gigs so must have been ok. Then I wanted to pass my degree and work as a CSI – those dreams were hard – uni was hard! But I loved learning and landed a job relatively quickly. When I was a CSI my dream became to work towards my masters – but I wanted it to be for me. Not work. So after a little kick up the bum by a psychic, I enrolled and did my masters while working full time. I chose creative writing because I’d always written. Incidentally, the psychic I mentioned told me in the reading id be signing books in waterstones in 5 years. When the book comes out it’ll be 5 years and around 6 months since that reading so he was pretty spot on! My Ma was hard – I had moments of tears – many moments in fact. Mostly due to one guy who I won’t name but he basically told me I was crap and wouldn’t be able to do anything in writing. But do you know – that sounds bad doesn’t it – he was a lecturer too – but despite that negativity I used the first 15000 words of this novel for my dissertation and I passed! And passing gave me the nudge I needed to get it finished. Even when I signed the contract with Caffeine Nights that person’s voice was in the back of my head telling me I was crap. But I pushed on and ignored it. I like to think in some ways it made me more determined. It worked obviously though cos my book is finally due out! This entry was posted in Blog Posts on February 26, 2016 by Kerryrichardson77. Somehow January managed to pass me by – I’m not entirely sure but I think I may have slept through most of it without even realising. It feels like it’s been a busy time since my last blog in December. Then I was getting ready for chrimbo the same as everyone else. January literally passed in the blink of an eye. Yet I didn’t really have a lot to show for it. I must have been busy – but I don’t recall doing what! Which is actually quite disconcerting. 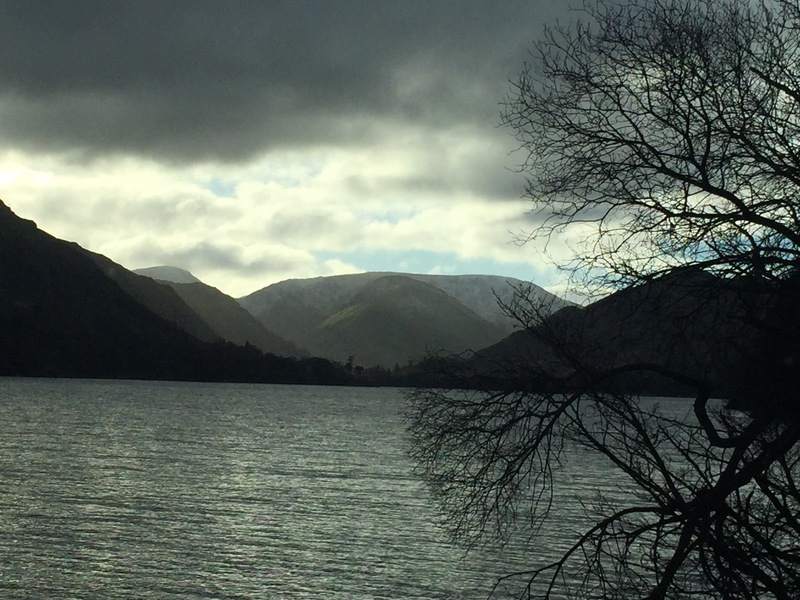 I spent the first few days of February in the lakes having a few days away with my lovely hubby – the pic is one taken near Windermere and i love it! It’s full of atmosphere. We spent a lovely few days driving around and seeing the sights. Acted like proper tourists except for the driving the windy roads which admittedly I enjoy and tend to drive like a local. It was great just spending some time with Pete and relaxing. The buds are starting to come out on the trees and the birds were singing constantly – even heard the wood pecker having a grand old time knocking on the tree next to the hotel. I’ve managed to find my writing mojo again which is fantastic – book 4 is very nearly finished (finally!! This ones been a slog) and I’ve started some tentative research for book 5. It’s hard to believe my novel should be out next month – after all the waiting and working it’s just round the corner. I’m both ecstatic, and a little apprehensive at the same time. Will people like it? Will they want to read the next one? Will they hate it? Do I even like it? I can tell you after doing the editing I’m not sure I do! I love the whole writing process – the research, the creating the story and the characters. I love challenging my characters and thinking about how they would deal with the situations I throw them into. But I really dislike the editing process! It’s monotonous and there’s no free reign over what I want to say. It needs doing and I do it but I’d definitely love someone to do it for me! I’m already looking forward to the events planned this year – Newcastle noir, crime fest where I’m appearing on a panel! On stage. In front of people. (Yikes!) I admit to being nervous but the other panel members and moderator are all awesome so hopefully they’ll keep me right! It’s a fab subject too which I’ll look forward to thinking about. Then Harrogate in July which is always the social place to be. I look forward to it all year. I can’t wait to be able to show you all the awesome cover for my novel. As soon as I’m allowed to it’ll be all over the place! I’m in a really good place at the minute – everything’s falling into place and I’m loving the whole organising malarkey. I’m loving chatting to so many fab authors and readers too. Those who know me know I love being organised! I even did my spreadsheet for my taxes today – the self assessment won’t be scaring me this year! For Christmas last year I was given a calendar that gives a word a day for the whole year. Odd words with cool meanings. I’ve been thinking how to show these off cos they’re so fab and I’ve decided that I’m going to put the daily word and meaning on Twitter or Facebook. Might as well share the fabulousness that is words! I made a conscious decision in January to make sure I read more this year too. Too often I get caught up in writing and forget there’s other worlds that I can escape to. I read Tuesday Falling by S Williams last week while I was away. It was a fab read, pacey with an unusual but well researched content. I thoroughly enjoyed it. Moved on to The Theseous Paradox by David Videcette which is also shaping up to be a fab read. I’m intending to read the work of the other panel members at crime fest too (have read 2 out of the other 4 authors so it’s not a bad start!). I’ve tried to make sure I dedicate more time to writing too – since being diagnosed with the autoimmune disease last year, it’s been too easy to let the fatigue and pain rule. Don’t get me wrong – I’m still shattered all the time but resolving to write in small bursts has been really beneficial. It’s refocused my passion and forced me to realise that part of why I felt low was because I wasn’t writing as much. And it’s shaped the book so much so that it’s really very nearly finished now! I’m excited to get it done and get started on book 5. This entry was posted in Blog Posts on February 9, 2016 by Kerryrichardson77.